Create the highest quality custom fake pregnancy Ultrasounds! It's easy, and the Ultrasounds are generated instantly! The Most Realistic Fake Ultrasounds Online! Fake a pregnancy sonogram of one baby, or even twins! 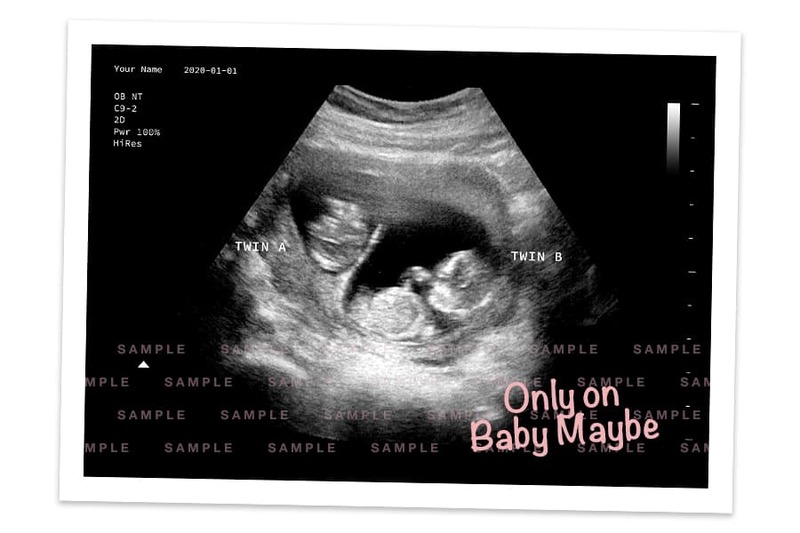 Check out one of our sample fake sonograms! 3 premium products are available. 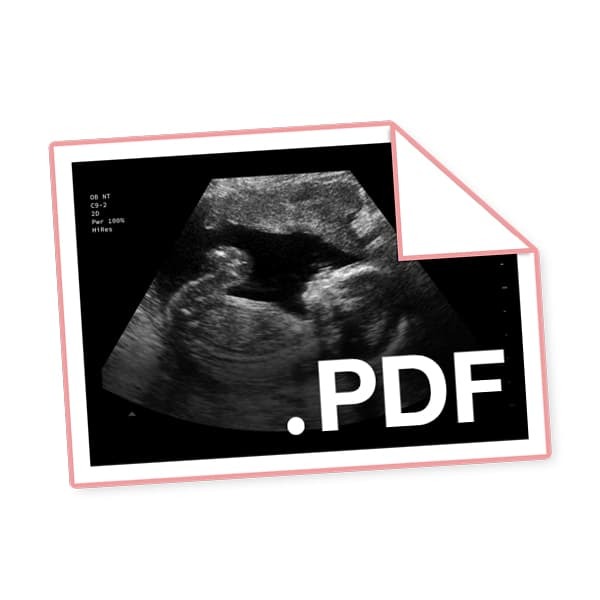 A high-resolution PDF of your customized 5x7" ultrasound. Download instantly and print your own at home! 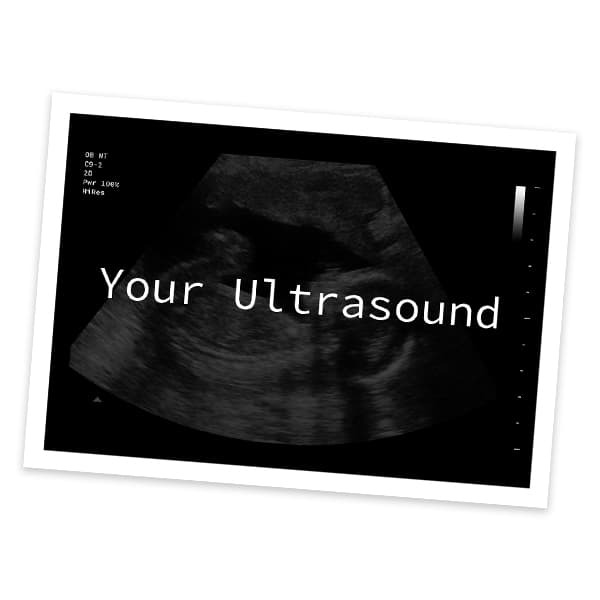 Your custom ultrasound printed on high quality glossy 5x7" photo paper. Includes a Digital Ultrasound PDF for free! 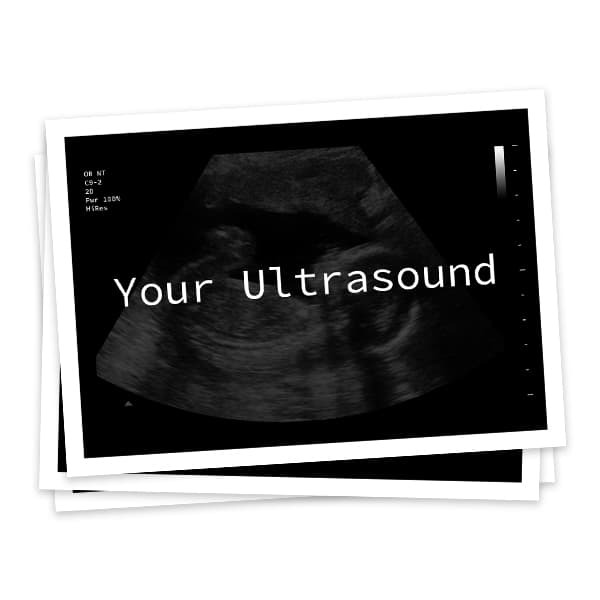 Three 5x7" printed copies of your customized ultrasound. Includes a Digital Ultrasound PDF for free! Prank your friends with a realistic, custom fake ultrasound! How long does it take to get my fake ultrasound? You will recieve our digital Ultrasounds immediately! If you choose a printed and mailed 5x7 inch premium Ultrasound, we will discreetly package it and dispatch it within five business days. Depending on where you live in the United States, it should arrive within three days from the moment it ships. Quick and easy! What is an ultrasound or sonogram? An ultrasound scan or sonogram is a non-invasive medical test that uses high-frequency sound waves to instantly capture live public/images from inside of your body. The technology is very similar to sonar and radar. Ultrasound scans are often used to evaluate fetal development and check on the health of the developing baby. Unlike other imaging techniques (like X-ray), ultrasound uses no radiation. For this reason, it’s the safe and preferred method for viewing a developing fetus. Are these fake ultrasounds realistic? These printed and digital custom fake ultrasounds look very close to the real deal! They appear to be authentic at first glance, and are great for playing jokes! We encourage you to prank responsibly. A joke isn't funny if it is too realistic! Is this like an ultrasound or sonogram from a doctor? These prank or gag ultrasounds look realistic, but they are NOT REAL tests from a doctor. These ultrasounds are in no way scientifically accurate - they are completely fake and for amusement only! This website is not intended to take the place of a real medical diagnostic or any other tests or treatments that have been or may be recommended by a healthcare provider. If you are experiencing discomfort or symptoms, please seek out medical care. If you are pregnant, please seek prenatal care from a licensed healthcare provider. We do not keep or share any of your personally-identifiable, private information. In order to generate the ultrasound we ask for a name of the "patient," but feel free to supply any information that you like! We do not collect your email address unless you supply it to us. We will not contact you unless you request to be contacted first. How private are these ultrasounds? These ultrasounds are completely private! We do not retain any information that can link you to any particular generated ultrasound unless you order a premium test. We will never share your personally identifiable information with an outside party, apart from payment processing or ad network cookies. You can prank in complete anonymity, if you like! An instant digital delivery is available for $10. One printed and shipped photo is available for $20. Three printed and shipped premium photos are available for $25. All printed photos come with an instant digital delivery for free! 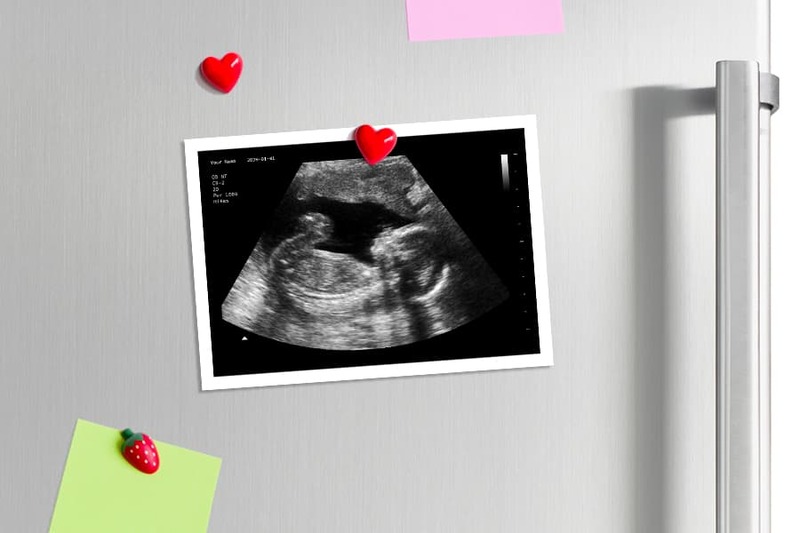 Create your own custom fake sonogram!